Snow finally has been lurking in the Lexington area and the pitter-patter of student feet approaches. We hope everyone has had a great break and gets back safely to MetroLex. The University Library’s Special Collections and Archives staff are always finding something old that’s new. One of the latest discoveries is a bit surprising — a set of photographic albums about a 1929 tour of the African continent. You can read more about it in Straight Into Africa, the latest installment in the Special Collections Discovery Blog. Ancient peoples dreaded this time of year because the days were getting shorter, colder, and darker. We modern types dread this time of year because of class presentations, term papers, late nights in the library, and final exams. Progress. Some ancient peoples may have found that domesticating dogs helped with seasonal anxiety. (It could be true.) The W&L University Library will tap into this venerable wisdom by offering students in the throes of late-term blues an opportunity to commune with some canine companions. The folks at Therapets in Roanoke will be returning to Leyburn Library and Telford Science Library on Monday 14 December for a couple of hours, along with three therapy dogs who would love to be petted and to hear all about your seasonal challenges. 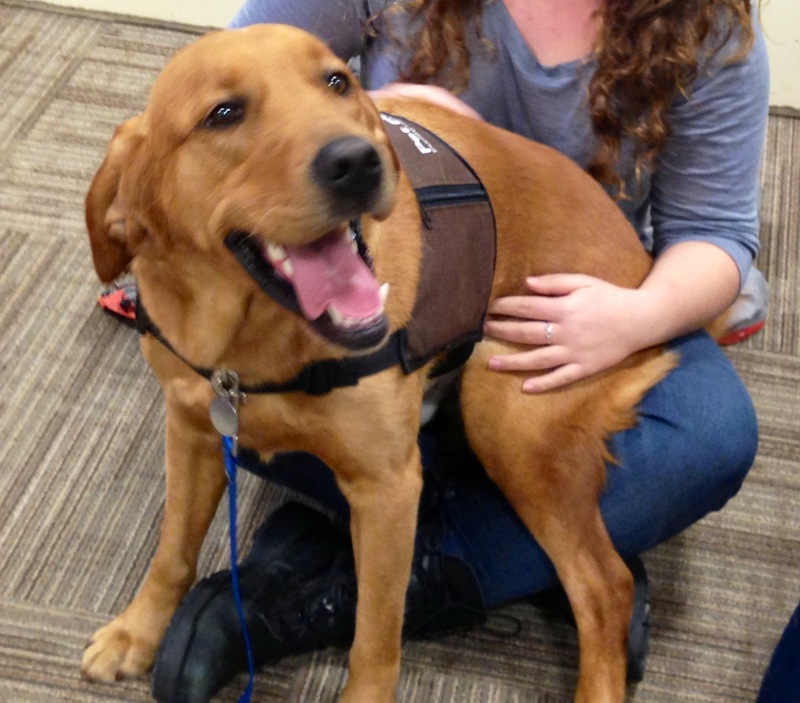 The dogs will be available from 2:00 to 4:00 pm in Leyburn’s Writing Center and on Telford’s Third Floor. Take a break Monday afternoon and visit with some furry friends who have a rich background of helping humankind through dark times across centuries. Keep the tradition going.